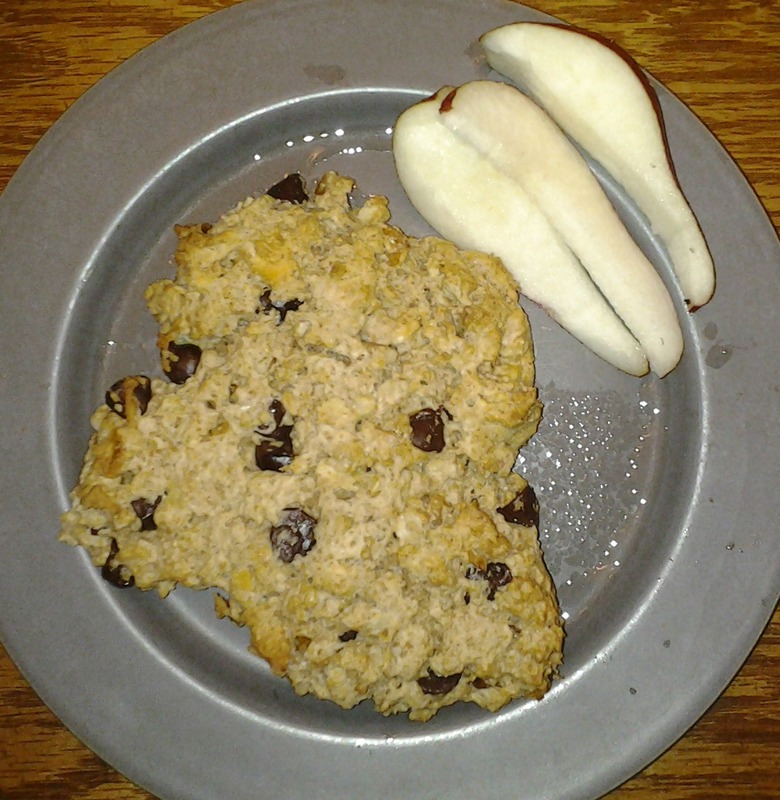 Nothing like a special breakfast on the weekend, and one of our kids’ favorites are chocolate chip scones. I’ve been using the recipe from “Joy of Cooking” for many years, with some modifications, and adapting it for a vegan option is simple, just substituting flax meal and water in place of the egg. Basic scones: In a larger bowl, mix 2 C all-purpose flour, 1/3 C sugar, 1 Tbsp baking powder, and 1/3 tsp salt. Then mix in 6 Tbsp oil, to create a crumby mixture. In another bowl, mix 1 Tbsp flax meal , 2 Tbsp water and ½ C soymilk. Blend the wet into the dry and that’s it for basic scones. For additional ingredients, we also added some dry oats, dried bananas, walnuts, vanilla, and chocolate chips. Preheat oven to 425, place individual scones on baking sheet, and bake approximately 15 minutes until browned to your preference. I really really want to try making vegan scones! Thanks for the recipe!